According to the EPA the air inside your home may be up to five times more polluted than the air outside. Results from in-home air tests across North America support this government finding. Nearly every home (96%) had at least one IAQ problem: 86% had high levels of particles and bioaerosols like dust, pollen and viruses while 71% were filled with odors and potentially harmful chemicals and gases. Perfumes, cleaning supplies, paints, pet odours, cooking fumes and other airborne contaminants, as well as pollen, dirt, pet dander, dust mites, bacteria, viruses and mold are commonly found in our homes. The best solution, is an air purification system that attaches to the furnace and removes or destroys these contaminants before the air is re-circulated. Pollen, dirt, pet dander, dust mites viruses and mold can be very small and therefore easily ingested in our lungs. 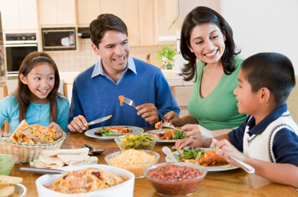 Air filtration systems have been designed to capture even the smallest contaminants and keeping them from recirculating back into the home's air. Too much moisture can make the air feel stuffy and warmer than the actual temperature and can also promote the growth of mold, mildew, fungi, bacteria and viruses. Too little moisture can cause dry skin, sore throats and respiratory problems, along with annoying static electricity. Dehumidifiers and humidifiers work with the home's heating and cooling system to keep moisture levels balanced in every room. Poor airflow is a common problem in newer homes, which are tightly sealed to conserve energy. Instead of continually moving, indoor air becomes stagnant and contaminants have no way to escape. Ventilation systems replace stale contaminated indoor air with outdoor air - providing the fresh-air feel of an open window, with virtually no heat/energy loss or safety risk. Small respirable bioaerosols/microorganisms, pet dander, dust mites, mold and other contaminants that can collect on the air conditioning coil, reducing system efficiency and circulate through the home. UVC lamps dramatically reduce concentrations of potentially harmful microorganisms. MERV16 Precision Pleat media filter removes 95% of particles down to .3 microns. These filters remove over 90% of bioaerosols and microorganisms down to.01 microns. They are hospital inpatient care / general surgery level filters and come with a five year warranty on covered components. A MERV10 media filter as also available. This filter is very effective at protecting the heating and cooling equipment of the home and removes 85% of particles down to .3 microns. Bypass Filtration Systems or "true HEPA filters" as they are known, remove 99.97% or particles down to .3 microns. These filters are extremely effective in removing air borne allergens and irritants such as dust and bacteria. There is an optional carbon filter that also traps odours. 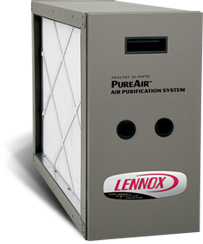 Simply put, these systems are the BEST air-filtration systems available. Germicidal Lights are effective in the elimination of indoor air pollutants through the sterilization of surfaces such as air conditioner evaporator coils and interior duct work surfaces where mold and bacteria can colonize. Humidifiers can be attached to the duct work system and operate in unison with the furnace fan to provide comfortable humidification through out the entire house. These units are now self-cleaning and feature a solenoid that expresses the exact amount of water required in the process rather than relying on a reservoir of stale water. They can be fan assisted and operate with or without the furnace fan. Did you know that if you have hardwood floors and do not have a humidifier, the warranty provided by the manufacturer of your flooring is voidable? Heat Recovery Ventilators (HRV) are designed for colder climates. They provide the fresh-air feel of an open window with out the energy/heat loss or safety risks. These devices are ideal for new homes which are tightly sealed to conserve energy and controls wintertime condensation that can damage windows, insulation and furniture. The HRV is designed to automatically exchange all of the air inside the home with outside air, ten times every 24 hours.